So my co-worker stepped into the office the other day looking like an Egyptian Goddess straight out of the movies. It helped that she is part Armenian, but that tan she was sporting was wicked. She credited it all to Skinerals Self Tanner Sunless Bronzer, Californium, Natural and Organic Ingredients. Before she could even finish reeling off the name, I had already dropped a bottle in my cart on Amazon. Yes, I ordered myself this sunless bronzer and have been using it for a couple of weeks, and now I am here to report. I’m not new to self-tanners and sunless bronzers, so once I started using Skinerals I could see how much better it was compared to other brands I have used in the past. 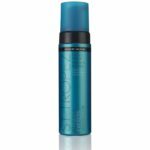 The bottle, first of all, is a metallic can with a foam pump dispenser – simply brilliant! The foam came out thicker than I had anticipated, having a mousse like texture thus giving a more substantial serving per pump. The mousse gave me one of the smoothest applications I have ever experienced. It went on easy and even, considering that I used an applicator mitten also, and gave me instant color. For every use, my skin felt soft and smooth and looked golden in color. The first application gave me a light brown hue instantly, which gradually darkened up to 8 hours to then give me a deep golden complexion. I like the color the first application gives me; as such I don’t usually feel the need to go on tanning any further. My co-worker, however, looked like she did two applications over that weekend as she was much darker! After about the 6th day, I saw my tan fading, I didn’t swim or sweat much during that time, however, I only took daily showers. Nevertheless, I would say this self-tanner is quite resilient to water, but obviously haven’t put it through a proper test, even until now. I re-applied this Skineral Self Tanner Sunless Bronzer on the 7th day for the second time with the same method and didn’t arrive at the same complexion as before. Since I started out a bit darker than I had initially, my skin tanned even darker. The mistake I might have made the second time around though is that I didn’t exfoliate before re-applying the sunless bronzer. Every other application since then has included exfoliation preps before applying the bronzer and as such, I have had better color consistency each time. 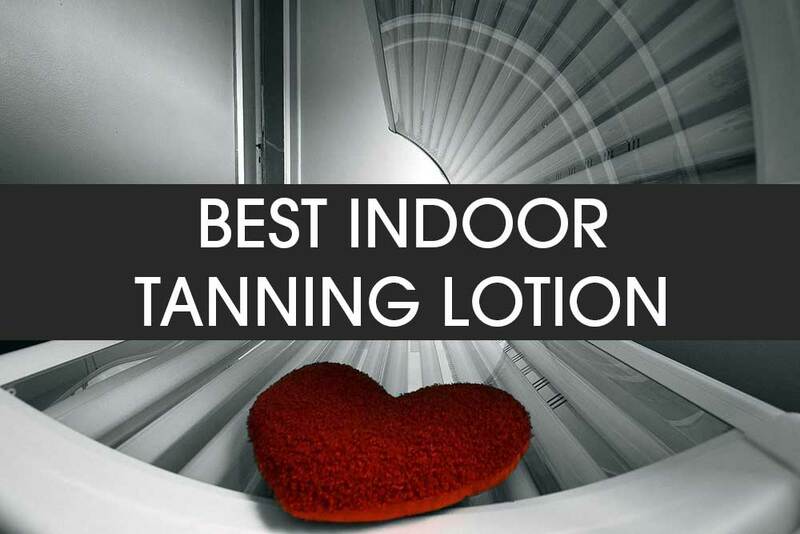 Moisturizing also helps in maintaining your tan, so let that be a part of your tanning regimen as well, but it is best advised to commence a day after self-tanning. It’s unusual to find a good and effective bronzer that uses a plenty of natural ingredients. 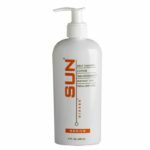 Skineral self tanner/ sunless bronzer has a great mixture of Indian gooseberries, Acia berries, Goji berries and Fig extracts among many other plant based oils and organic ingredients. 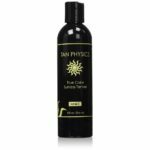 These additives are known to have exceptional skin restorative and rejuvenating benefits to deliver softer, healthier skin all while getting you tanned with the makings of DHA – a far better option than actual sun tanning and tanning beds. 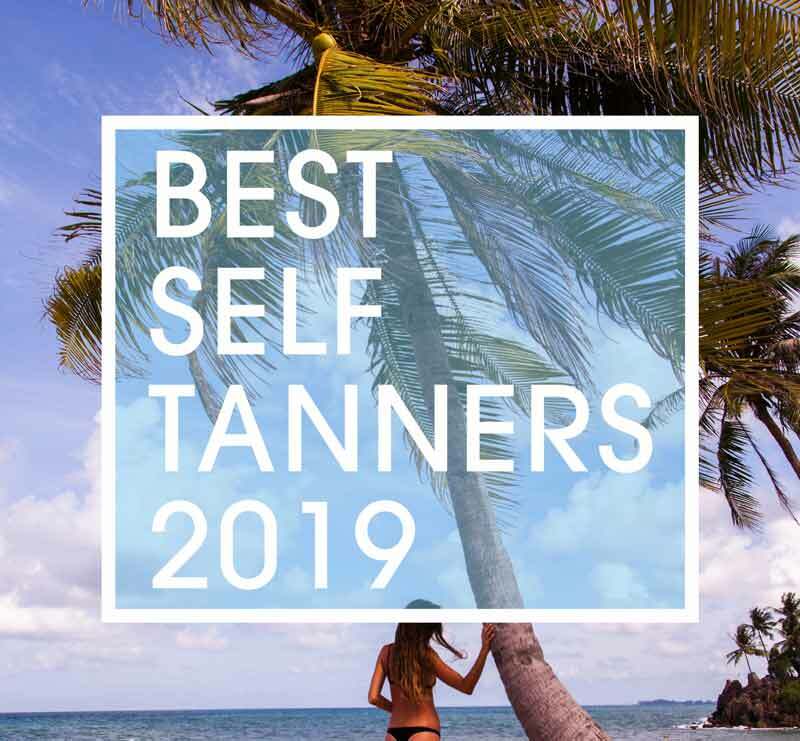 I would recommend Skinerals Self Tanner Sunless Bronzer, Californium, Natural and Organic Ingredients to everyone looking for a safe way to get some color; I would even suggest it to my grandmother. It is highly hypoallergenic and as such is safe for persons with sensitive skin and those who want to use it on their faces as well. Application on the face is a little different by the way; you may want to use a significantly smaller amount and coat a very thin film on your face. Rub-in the solution in a circular motion around your face to avoid creating blotches and streaks. After approximately 15 minutes wash off the bronzer and allow it to develop for the next couple of hours. From there, you should determine how much darker you want to get and re-apply if necessary. The aim is to get your face slightly lighter than the rest of your body so as to have a natural looking blend in your complexion. 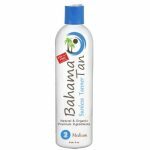 The entire bottle provides 3 to 4 full body applications and will last you an entire month if you were to tan every 8 days of so. It has a slight fruity fragrance but once you wash it off in the shower there is no smell after. Like any other sunless bronzer, there will be color transfer from your skin to any thing you put on your body, from clothing to bed sheets to furniture. So it’s important to wait the maximum drying time (approximately 8 hours) and perhaps showering before wearing your favorite white dress or pair of jeans. Apparently, I’ve been paying a little bit more for my Skinless Self Tanner online, I have been told there are being sold more reasonably elsewhere – you can check your local drugstore or Walmart. 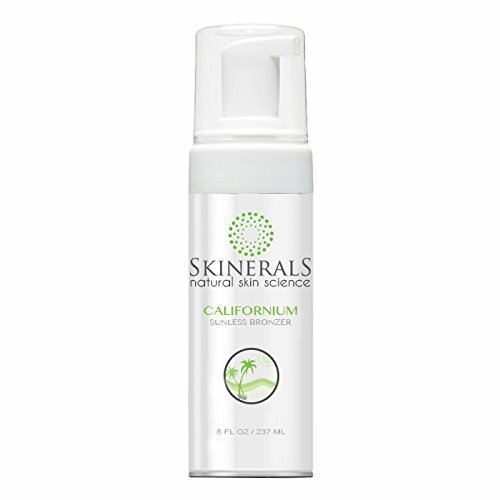 Skinerals has a bunch of other products and very similar ones to the Californium Natural and Organic Ingredients. So be sure to get the right bottle – this one comes in a white can with the foam dispenser pump and clear plastic cover. 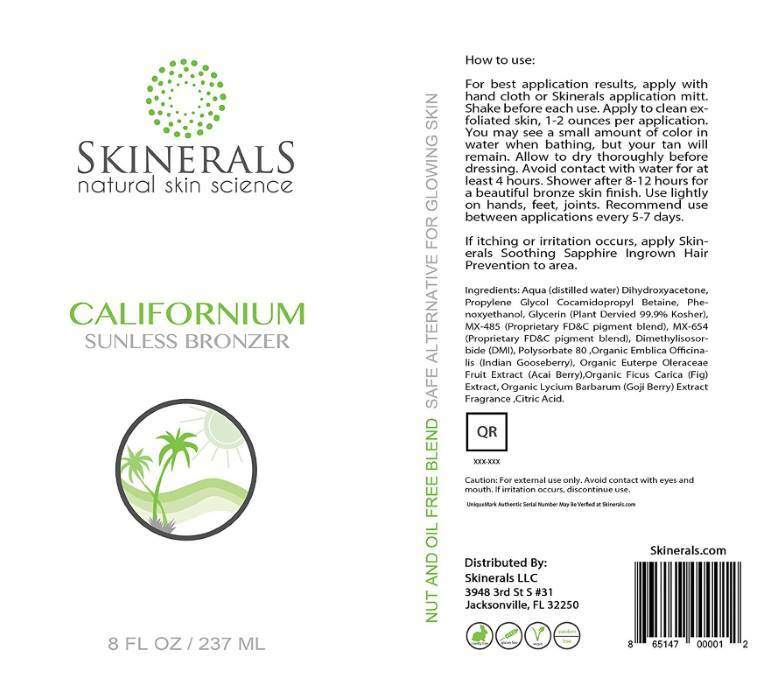 The name Skinerals is in bold text with the tagline ‘natural skin science’ below and then the word Californium beneath written in a color green, all upper case and the product description ‘sunless bronzer’ below. Take my word everyone, this self-tanner and sunless bronzer is worth every penny and worth a try. I give it 10 out of 10 stars without reservations – Good Luck!